Some background: March is a busy time of year for the Maryland General Assembly. Barring the possibility of a special session, the Assembly’s legislative session will adjourn for the year on April 10—less than one month away. The deadline for bills to move from one legislative chamber to the other (known as “crossover”) is even sooner: March 20. That effectively leaves activists and interest groups only more week from today to ensure their favored bills make it out of committee for a floor vote, then on to the other chamber for consideration. So, what does this mean for the Trust Act? It means we need to put some serious pressure on the General Assembly to ensure this bill makes it through. The Trust Act has a broad (though sadly not bipartisan) base of co-sponsors in both the House and Senate. Unfortunately, this alone does not guarantee a bill will make it out of committee; that’s up to the committee chairs, who tend to answer to their party leadership. We need everyone to contact the House Speaker and Senate President, listed below, then review the district-level calls to action as well. Calls are preferred over email, but email is preferred over nothing! General calls to action: call these legislators no matter which district you reside in. Del. Mike Busch, Speaker of House of Delegates (representing Anne Arundel County district 30A). Call (410) 841-3800, or email. Ask: Publicly support the Trust Act and ensure it is brought to a floor vote. Sen. Mike Miller, Senate President (representing district 27, Calvert/Charles/Prince George’s County). Call (410) 841-3700, or email. Constituent calls to action: see if your own legislators are co-sponsors of the bill (House co-sponsor list here, Senate here). If they are, thank them! If they aren’t, ask them to support and co-sponsor the bill. In addition, we are asking people to focus efforts on the following legislators; please urge family, friends, and fellow activists living in these districts to call. Del. Bill Frick, House Majority Leader (representing district 16 in Montgomery County). Only legislator out of 32 from Montgomery County not to co-sponsor the Trust Act. Call 410-841-3454, or email. Ask: Urge Del. Frick to support and co-sponsor the Trust Act. If he is opposed or uncommitted, ask if he has reviewed the amendments proposed by the Montgomery County Council, and whether he intends to support the Trust Act with those amendments. Sen. Jim Brochin (representing district 42 in Baltimore County). Member of the Senate Judicial Proceedings Committee which is considering the legislation. Conservative Democrat in “swing” district. Not a co-sponsor of the Trust Act. Call 410-841-3648, or email. Ask: Urge Sen. Brochin to support and co-sponsor the Trust Act. 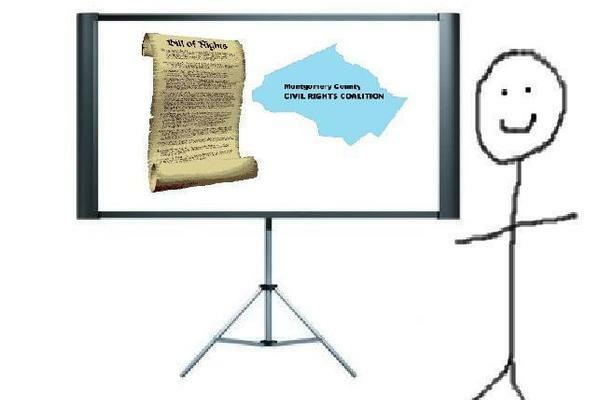 If he is opposed or uncommitted, ask if he has concerns that could be allayed by amendments, and whether he has reviewed the amendments proposed by the Montgomery County Council. Del. Angela Gibson (representing district 41 in Baltimore City). Member of the House Judiciary Committee which is considering the legislation. Not a co-sponsor of the Trust Act, but has only been a member of the House of Delegates since 2/24/17. Call 410-841-3283, or email. Ask: Urge Del. Gibson to support and co-sponsor the Trust Act. Sen. Bobby Zirkin, chair of Senate Judicial Proceedings Committee (representing district 11 in Baltimore County). Not a co-sponsor of the Trust Act. Call 410-841-3131, or email. Ask: Urge Sen. Zirkin to support and co-sponsor the Trust Act, and ask when he intends to schedule it for a vote. Del. Joseph Vallario, chair of House Judiciary Committee (representing district 23B in Prince George’s County). Co-sponsor of the Trust Act. Call 410-841-3488, or email. Ask: Thank Del. Vallario for his support of the Trust Act, and ask when he intends to schedule it for a vote. This entry was posted in Post and tagged email/phone campaign, immigrant rights, maryland. Bookmark the permalink.